When I attended the NARS event a couple of weeks ago, I went with the intention to find an amazing eyeliner. Try as I might, I just can't find the perfect highly-pigmented, precision-pointed, smudge-proof black eyeliner. So, with that goal in mind, I bought the Larger than Life eyeliner in Via Veneto. 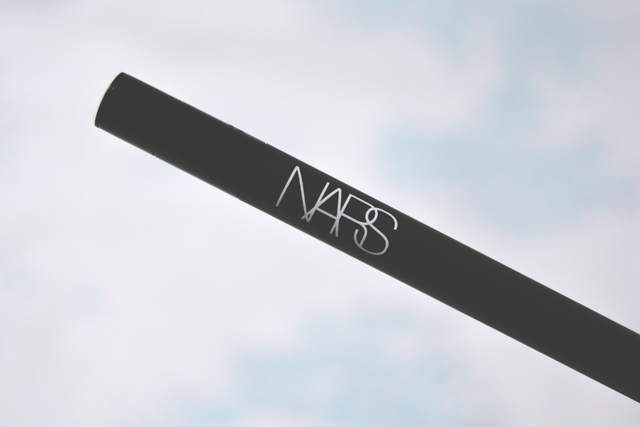 The packaging is very sleek: A simple, slim pen style applicator with the NARS logo at the end and a twisting bottom to push up the liner. 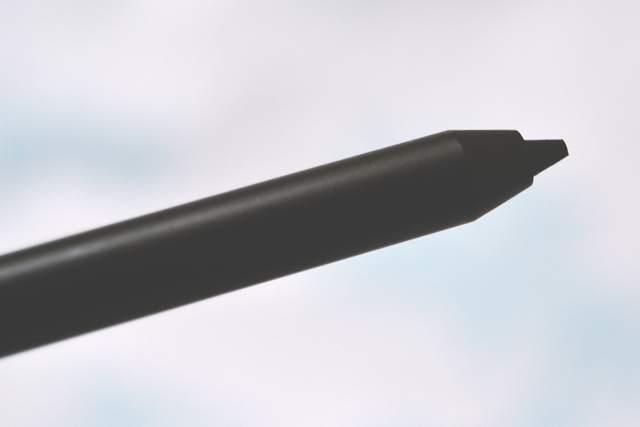 When the lid is removed, the pencil tip is found to be slightly rounded at the end. This shape means it's very difficult to apply with precision. 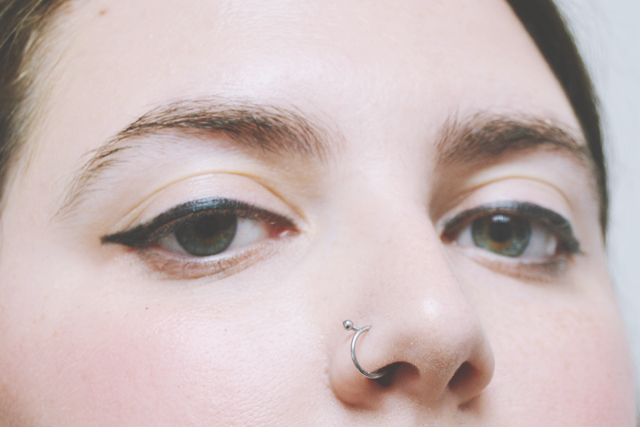 On application, the eyeliner has a soft, almost creamy consistency, so the point flattens quickly, further complicating the process of applying accurately. Despite this, the liner does draw on easily, with no catching or pulling, and it's very highly pigmented. Once on, the liner doesn't smudge or fade and lasts a very long time- at least 12 hours on my eyes. However, it's not at all waterproof and, as my eyes water a lot when exposed to the elements (and I'm one of those people who cries at everything), I can quickly end up with terrible panda eyes. Although this is a good quality eyeliner, due to the pigmentation and staying power, I need something that will help me draw on accurate wings and put up with my permanently watering eyes. Any suggestions? Try the Make Up For Ever aqua liners! The thing with crayons is that I never get precision but even when the tip is quite rounded and dull I still manage some precision, so have a look at those! There's a huge array of colors and they're also quite pigmented. Usually I don't like to use crayon or pencil liners for this reason so I always stick to liquid liners that have a super thin brush or felt tip. So much easier and most of the time those do end up being the most smudge and waterproof! Ooh, I'll try those! Thank you! I hate the Soap and Glory one! It's just a shame that it's so difficult to use precisely. My go-to eyeliner has to be the L'Oreal superliner, perfect slim. I'm not sure if there's a waterproof version but the standard one usually withstands my horrid greasy eyelids (euurgh). It's like a little pointy felt tip and it's the only way I can get a nice neat flick, I'm a mess if I try to use a pencil!